Not sure what paperwork you need to take to the lender when it's time to apply for a home loan? Here's a basic checklist to make sure that you have all the documentation you need to get your loan application approved faster. Employers - Names, addresses and telephone numbers of all your employers for the last two years. dividends, social security, pension, and rental income, if you choose to have them considered. Self-employed individuals will always need additional documentation. Pay Check Stubs - Bring your pay check stubs from the last 4 weeks before the date of your home loan / mortgage application. or a grant from a local down payment assistance program and these will need documentation, too. credit cards, child support and other payments you make each month. Note: Never leave your original documents with the lender. Our Internet base marketing system is second to none. 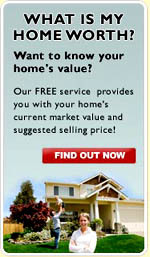 We advertise your home on over 30 of the Internet's hottest real estate websites including Google.com, Yahoo Real Estate, AOL Real Estate, Trulia.com, Zillow.com, Facebook.com, MySpace.com and many more. - Call Roger at 502-429-9090. *You may choose anyone you want. You don’t have to pick someone from this list. I cannot guarantee another person’s work or how they will work for you. This is just a list of who our clients have had good experiences with in the past. 1. Develop a family budget. Instead of budgeting what you’d like to spend, use receipts to create a budget for what you actually spent over the last six months. One advantage of this approach is that it factors in unexpected expenses, such as car repairs, illnesses, etc., as well as predictable costs such as rent. 2. Reduce your debt. Generally speaking, lenders look for a total debt load of no more than 36 percent of income. Since this figure includes your mortgage, which typically ranges between 25 percent and 28 percent of income, you need to get the rest of installment debt—car loans, student loans, revolving balances on credit cards—down to between 8 percent and 10 percent of your total income. 3. Get a handle on expenses. You probably know how much you spend on rent and utilities, but little expenses add up. Try writing down everything you spend for one month. You’ll probably see some great ways to save. 5. Save for a down payment. Although it’s possible to get a mortgage with only 5 percent down—or even less in some cases—you can usually get a better rate and a lower overall cost if you put down more. Shoot for saving a 20 percent down payment. 6. Create a house fund. Don’t just plan on saving whatever’s left toward a down payment. Instead decide on a certain amount a month you want to save, then put it away as you pay your monthly bills. 7. Keep your job. While you don’t need to be in the same job forever to qualify, having a job for less than two years may mean you have to pay a higher interest rate.